People are being warned about dangerous emails as scammers are already trying to take advantage of the new prélèvement à la source (PAS) at-source tax. 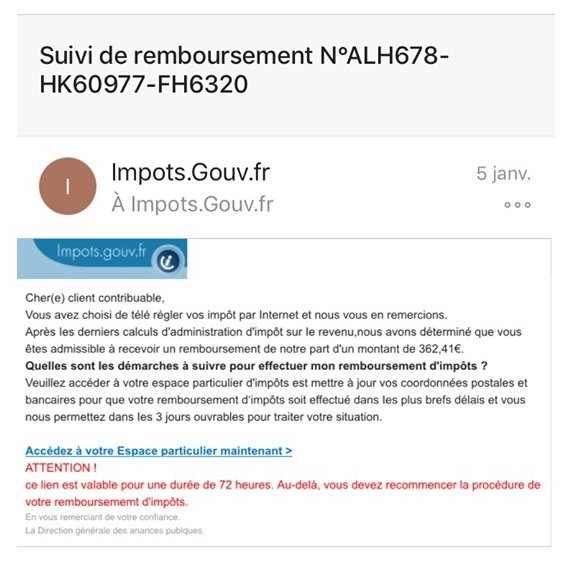 PAS started at the beginning of the month and the Gendarmerie of the Vosges says some people have now been receiving emails claiming to be from the official impots.gouv.fr website, asking them to click on a link to access a tax refund. 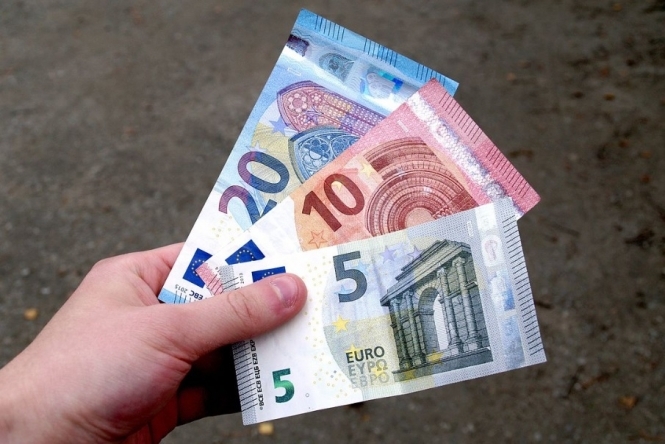 For a start, the tax office is unlikely to be offering anyone tax refunds (remboursement) at this stage, since the new system has only just started (not to be confused with an installment of money related to tax credits which IS due for many people this month). However what is more the tax office never requires you to click links to obtain reimbursements – if one is due to you, it happens automatically via a bank transfer or a cheque in the post. It is likely that such links are just aimed at getting you to put personal information into a fake website, whether it be bank account or card details, confidential passwords etc. The tax authorities never ask for such information by email. In the case of the emails the gendarmerie is alerting to, other factors which should be a red flag include spelling mistakes and the fact that the link to click is said to only be valid for a short period, putting pressure on you to click quickly to avoid ‘missing out’. You should delete any emails that look like this and if in doubt log in directly to your account on the impots.gouv.fr website to see if you have any message from the tax authorities there. You can also pass on details of the fraud at the site www.internet-signalement.gouv.fr or on a free telephone line 0 805 805 817.